Thank you, Amazon, for sponsoring this conversation and providing this amazing service. All opinions are my own. 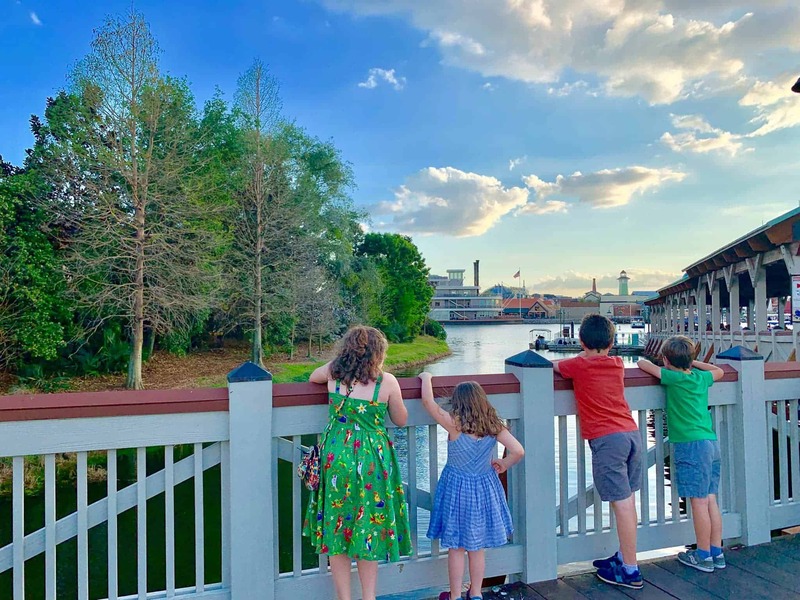 School’s out for the Summer. 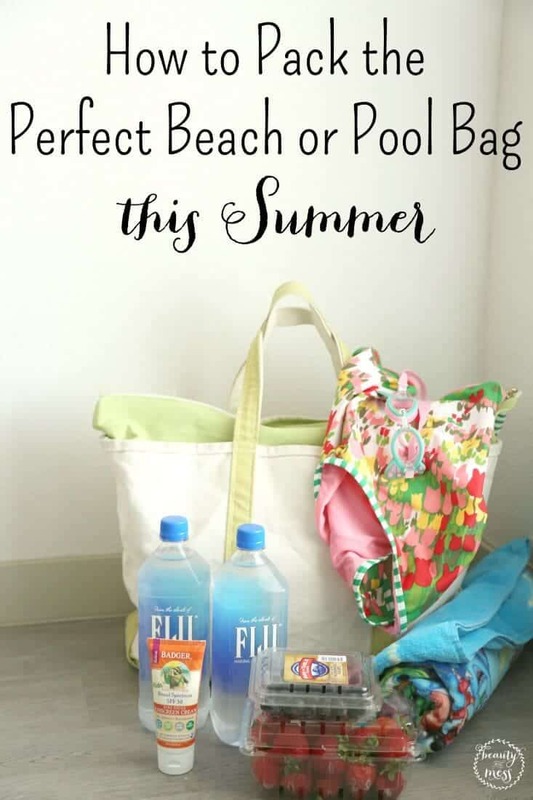 Don’t miss these essentials for your pool bag that will also be great for the beach! One of the best decisions I ever made, for the sake of my sanity, was to create a pool bag which also doubles as a beach bag. 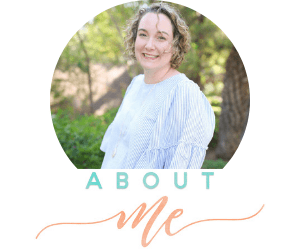 I’ll be sharing the essentials you’ll want to pack, and you can fill in the gaps with your family favorites. It’s amazing the difference it makes having everything in one place. Instead of six people running around the house trying to find everything they want to take, it’s all in the bag. One person double checks the bag to make sure the essentials are there, and we’re good to go! 1. The bag. Obviously, you need a bag. Something that will carry everything to the pool or beach while staying closed while at home. Ours has a zipper top so when it’s knocked over, everything doesn’t spill out. It won’t spill out while hanging out in the car or the closet. 2. Beach towels. Beach towels are great for the beach and the pool. They are long enough to cover lounge chairs, and for the kids to sit on for snacks and resting when they aren’t in the water. 3. Snacks. Snacks are added to the bag either the night before or the morning of the trip to the pool. We like to take fresh fruit, and gluten-free pretzels, apples. 4. Sunscreen. We apply sunscreen at home, once we get to the pool, and an hour or two after playing in the water. Sunburns are miserable for both children and moms. We try to keep them to a minimum. 5. Plastic or stainless steel water bottles. While I love drinking out of my mason jar glass throughout the day, glass isn’t allowed at the pool. 6. Sunglasses. I have a “pool” pair of sunglasses in the bag that I don’t mind getting stepped on, accidentally scratched on the cement covered floor, or dropped in the pool. 7. Bathing Suits. While we wear our bathing suits to the pool, I store them in the bag so we know where they are year-round. 8. Wet bag. Do you know what a wet bag is? It’s AMAZING. Yes, you can use a plastic bag, but sometimes those leak. Wetbags don’t. You can put all the wet bathing suits in the wet bag, throw it in the pool bag, and nothing will get wet. I love wet bags. 9. Change of clothes. I store a change of clothes for each person in the wet bags so the clothes stay dry. 10. Goggles. In the past, we haven’t worn goggles because I want my kids to learn how to swim without them, but sometimes they are fun. 11. Cash. I always keep around $20-$50 in the bag. At the beach, it pays for parking. At the pool, it pays for a cold treat. 12. Swim shoes. Not everyone has swim shoes but the littlest kids do to protect their feet. 13. Swim cover-up. When we’re resting at the side of the pool, it’s nice to have something to cover-up with to go to the bathroom or buy concessions. 14. Hair ties. These are always handy to help with bathing suits that are too big and keeping hair out of the face. 15. Lip balm. Always. I reapply lip balm continuously. Burnt lips are horrible. 16. Wipes. For the most part, our youngest is potty trained but I will never leave the house without a package of wipes. I use wipes to clean up all kinds of messes. Wipes are awesome. 17. Baby Powder. This is for the beach. We don’t take baby powder to the pool. Baby powder is great for removing sand so you don’t bring home the beach with you. 18. Swim diapers. It never failed. I would always forget to put swim diapers in the bag, or they would be the wrong size from the last year. Having extras in the bag is always a great idea. 19. Pool toys. I do keep these to a minimum, but one toy per kid usually works out well. 20. Floppy Hat. While I’m not a huge hat person, I’ve come to realize that my face and hands show the most sun damage. A floppy hat will help protect you. I also carry a small first aid kit with us. It helps with scrapes, cuts, and occasional headache. Does Prime Now deliver in your area? On more than one occasion, Prime Now has come to our rescue. This time it was a spur of the moment trip to the pool. Looking through the pool bag I realized we were out of sunscreen, I needed water bottles, the kids ate all the snacks the day before. It was going to be a miserable trip to the pool if we didn’t replenish the bag. I was able to place my order and have it delivered the same day! It’s glorious not having to drag everyone to the store for a few things. 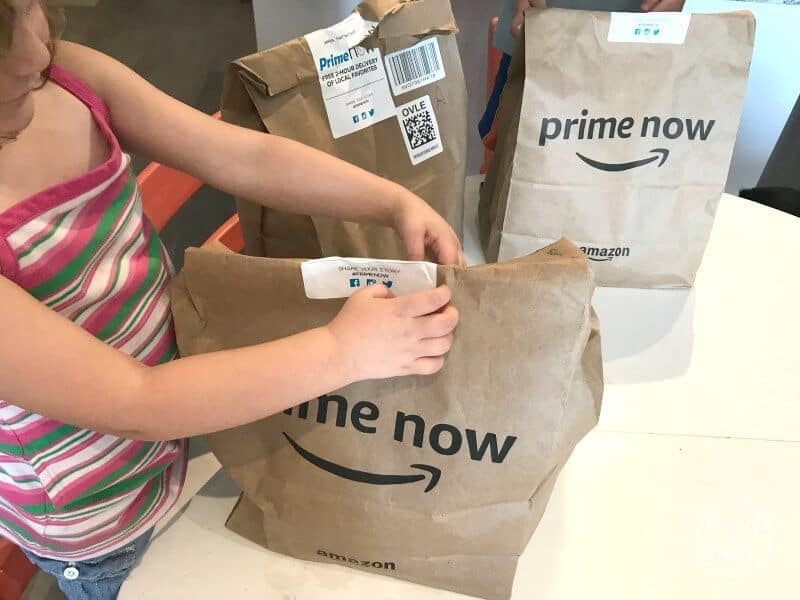 Prime Now allows Amazon Prime members to skip a trip to the store AND choose from tens of thousands of items on their shopping list, ranging from Amazon devices and other electronics to diapers and household items. Shoppers can now get their entire grocery shopping list including fresh organic produce, meat, and seafood from Sprouts Farmers Market delivered right to their doorstep with one and two-hour delivery. Where is Prime Now Serving? 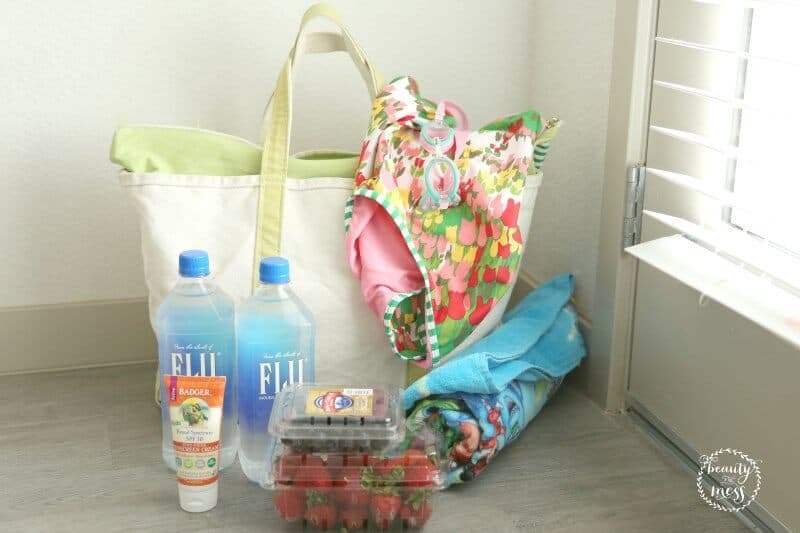 What are your pool bag and beach bag essentials? Have you utilized Prime Now in your city? What are your thoughts?